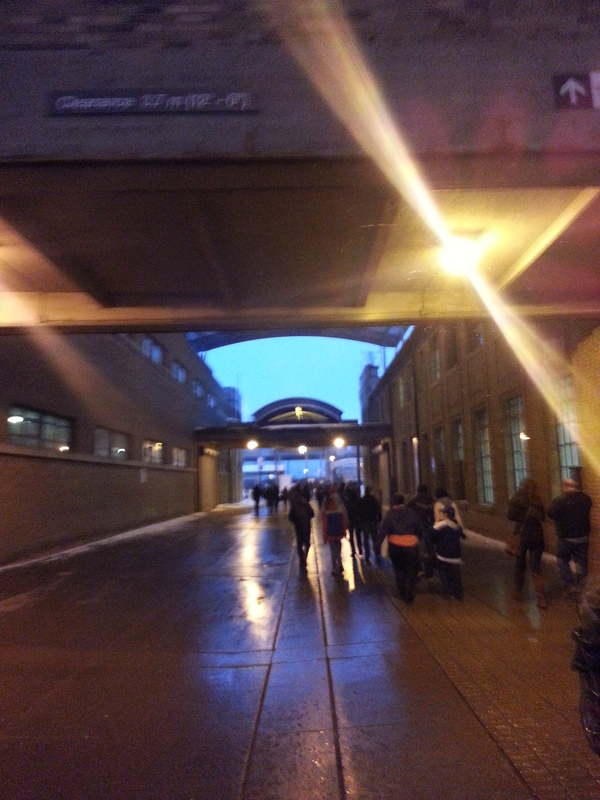 My destination: Ricoh Coliseum. The event: the Toronto Marlies of the AHL battle the Iowa Wild. Beyond the great company and live hockey to be had, it’s also bobblehead giveaway day. Bonus. With a three o’clock game time, I plan on arriving by two in order to secure one. Before that though, I intend on exploring. I arrive on the 511 streetcar, descending not at the Exhibition streetcar loop but at Strachan Avenue. I walk south on the street, my mind set on entering at the big arch. I cross the street and then cross again. I get my first discovery of the day. To my left there’s a block-like yellow building. Although I don’t know it’s name or purpose specifically (and don’t venture close enough to find a sign), it looks like a displaced building from the R.C. 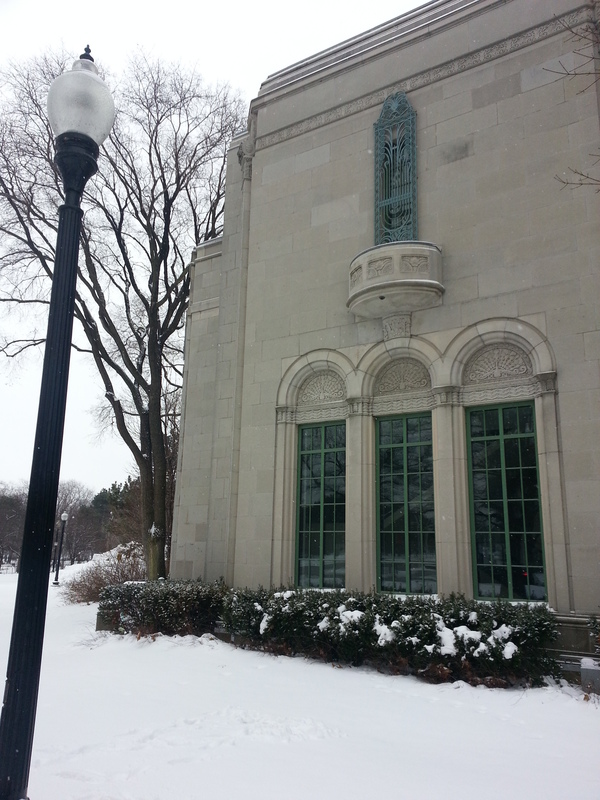 Harris Water Plant – Art Deco in style, from the 30s, and industrial in nature. My suspicions ring true. 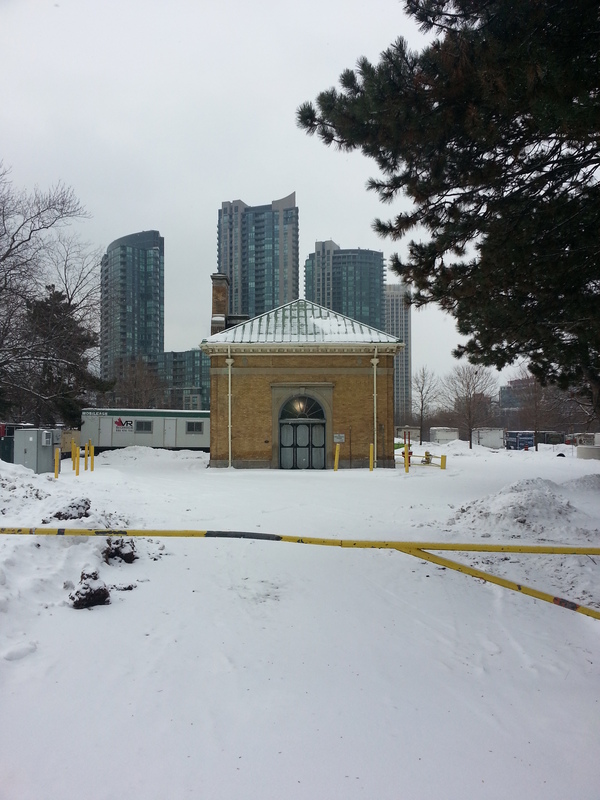 Upon later investigation, I find out this is Gore Park Pumping Station. Built in 1924, it’s not exactly the long lost child of the R.C. Harris Filtration Plant that I pinned to be. Rather, it predates it by eight years (seventeen if one counts when the water temple was finally completed). 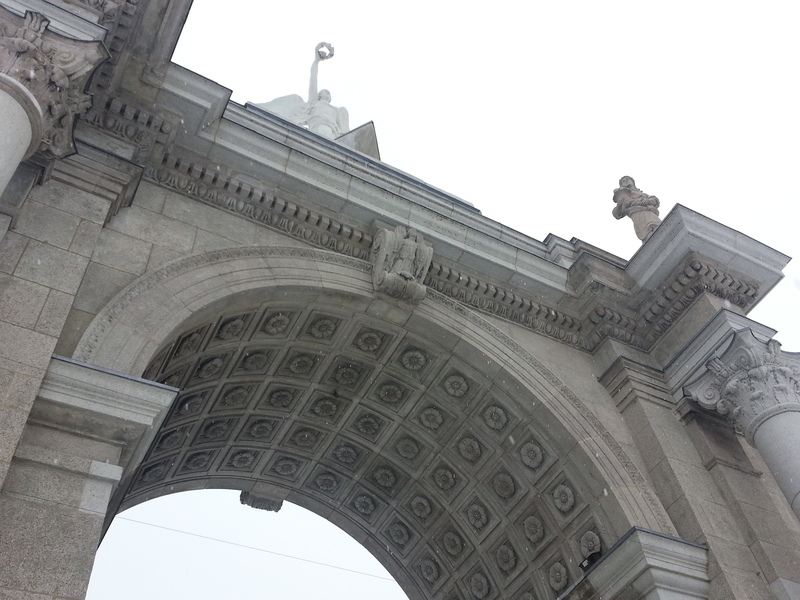 Moving on, I come to Princes’ Gate. Despite this being Toronto’s (more impressive take on the) Arc de Triomphe or Washington Square Arch, I have no distinct memories of passing under it, nor do I know much about it. 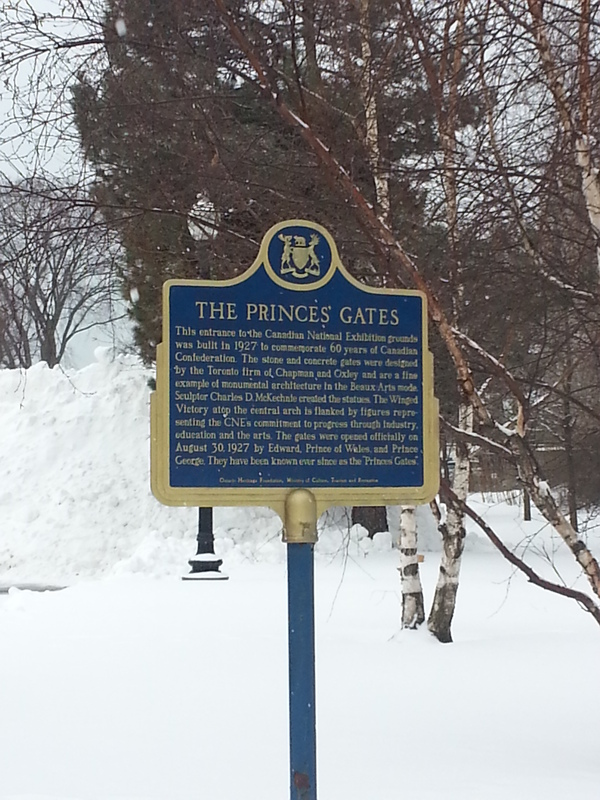 In fact, during a summer Toronto history trivia outing I found out who the names of the princes it’s honoured for. I cross the street opposite Coronation Park and get a better look. There’s slush on the ground and snow blowing in the air and somehow I get the sense that there’s a different vibe when the Ex rolls around, but this works for me. The detailing and construction of this grand structure is impressive. 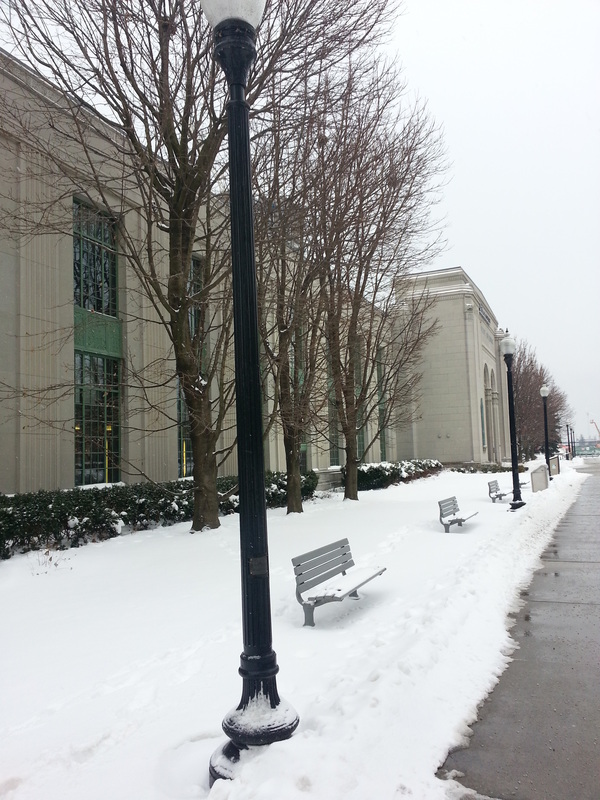 On the other side of the angels, there is a blue Ontario Heritage Trust sign. A truck with a man in the cabin loiters beside it. I wonder whether he’s looking at me while a snap a picture of the plaque, which is completely surrounded by snow. I take a moment to read the image on my phone screen. 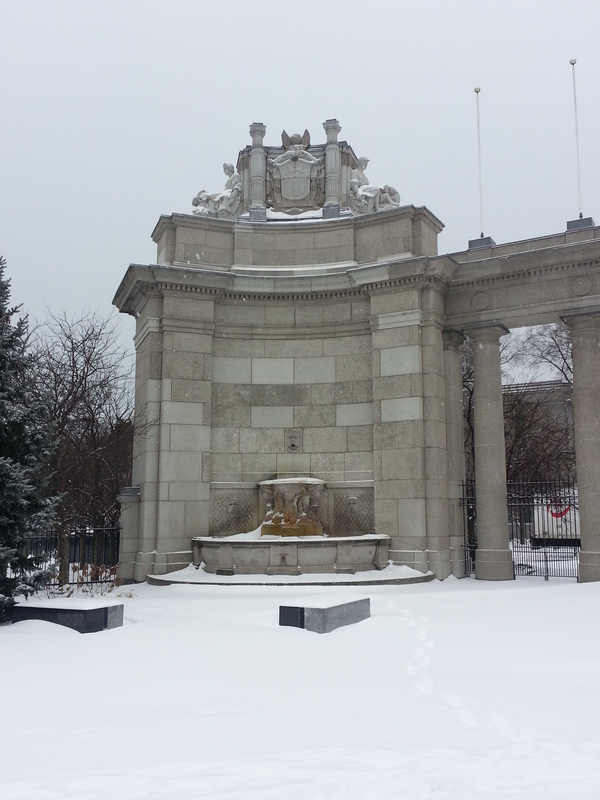 The Beaux-Arts monument was opened in 1927 by Princes Edward and George. 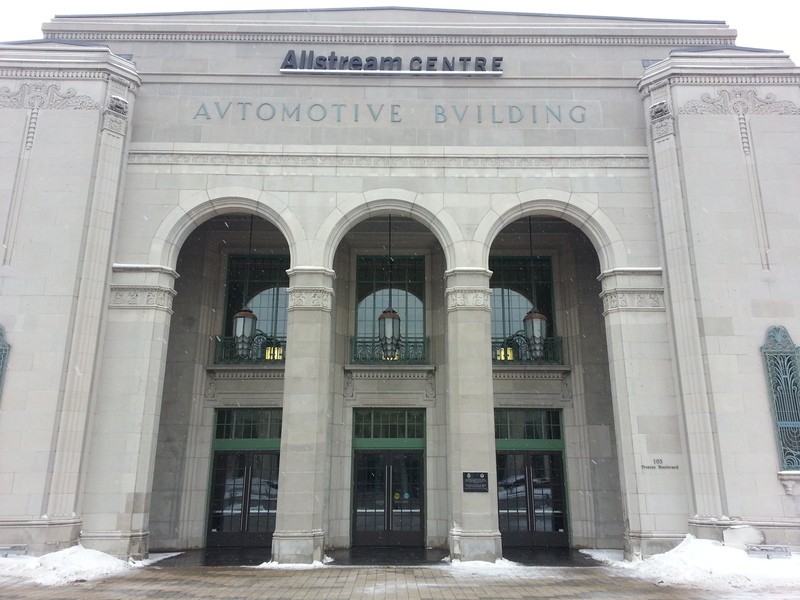 Past this, I come to the 1929 Automotive Building, now the Allstream Centre. 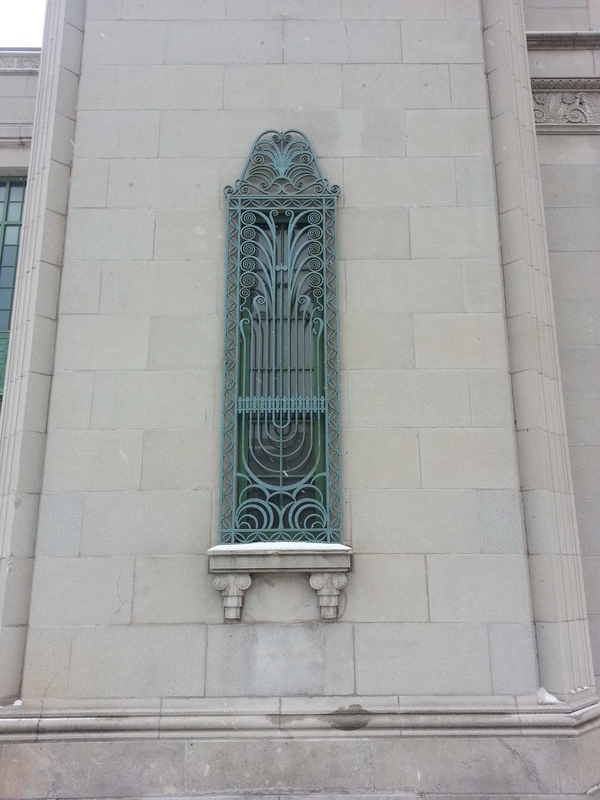 As I walk the lamp-line sidewalk, my architectural eye once again detects more distinct Art Deco styling. I make it to the main entrance and step back to marvel at it. High arches, fancy railings, intricate carvings, detailed windows…it’s a handsome building for sure. 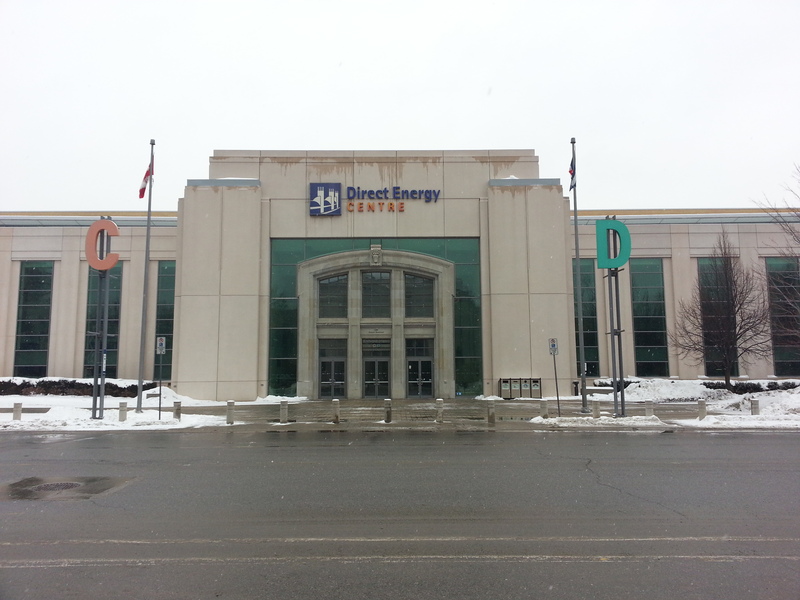 On the opposing side of the street stands the slighty more modern (1996, to be exact) Direct Energy Centre. 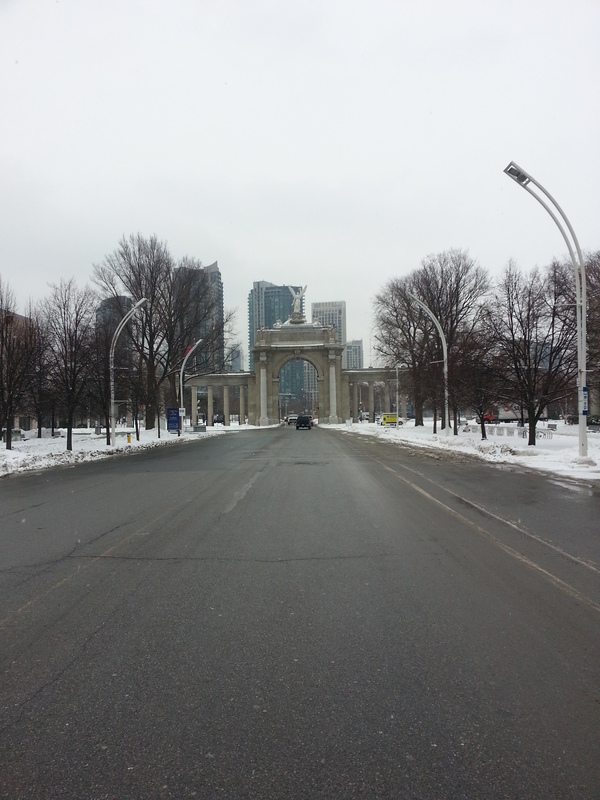 I cross the street to get a look, stopping in the middle of the empty way to gaze again at the Princes’ Gate. By this point I just want to get around the venue to Ricoh Coliseum, but seeing how frigid day it is, passing through it sounds like a better option. Inside the ‘Toronto Sportman’s Show’ is taking place. 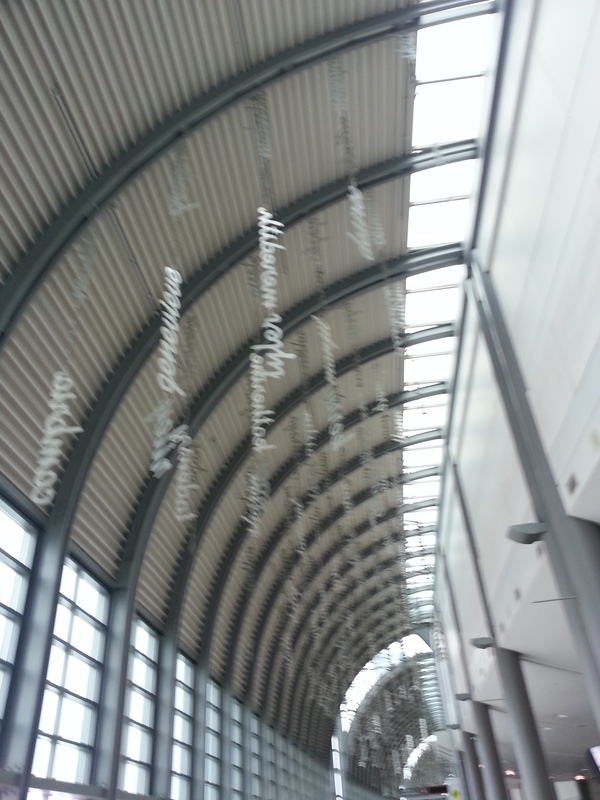 I pass one of the exhibition halls which is dedicated to fishing. Not my cup of tea. 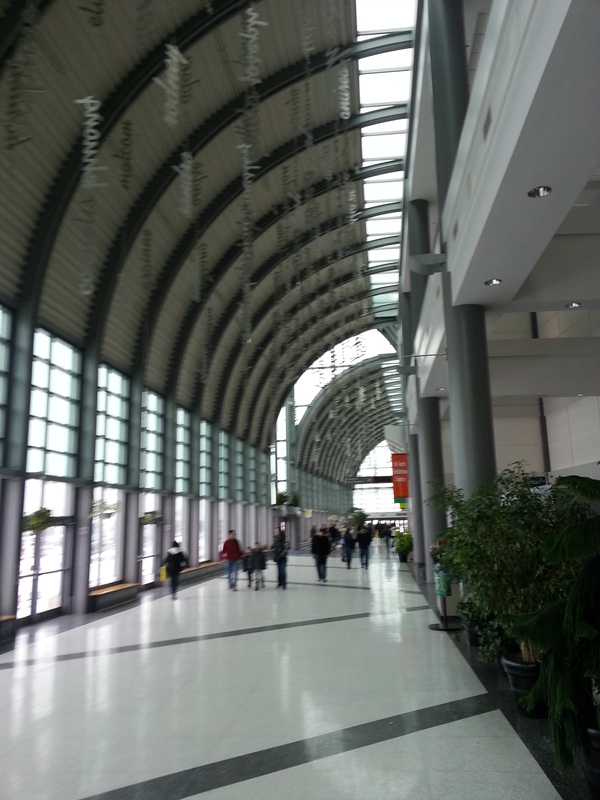 Instead, I continue meandering through to the other side of the building while taking in the sight above me. There are words hanging above, but even as I make it outside again, I have no luck in making them out. Hockey is near. I make it outside where BMO Field looms in the distance. Maple Leaf Sports and Entertainment is pumping in millions to renovate it – adding more seats, changing the field, among other improvements. There are big visions for it: as big as an NHL Winter Classic. After the amazing experience of following the hometown team out to Michigan last year, I’d be all for it. For now, I’ll settle for minor league hockey. 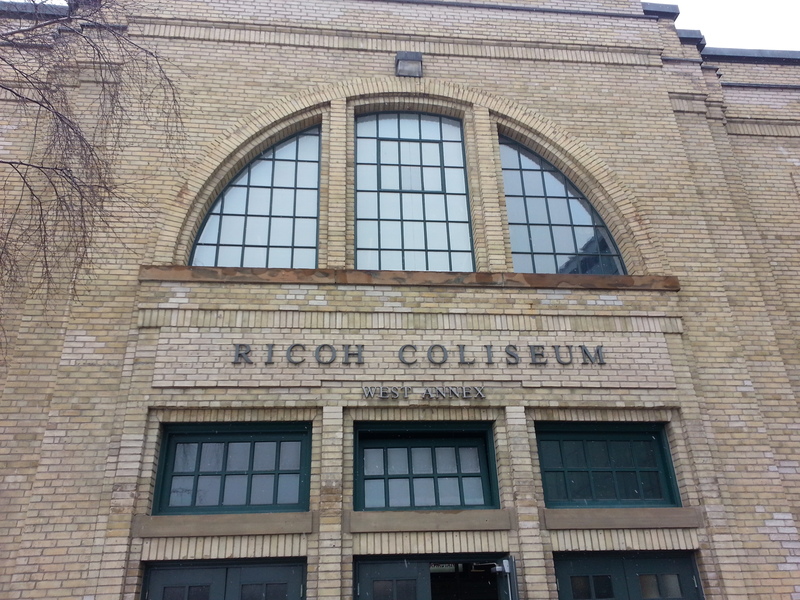 Ricoh Coliseum is another aged building, once known as simply the Coliseum before corporate hands got their hold on it. 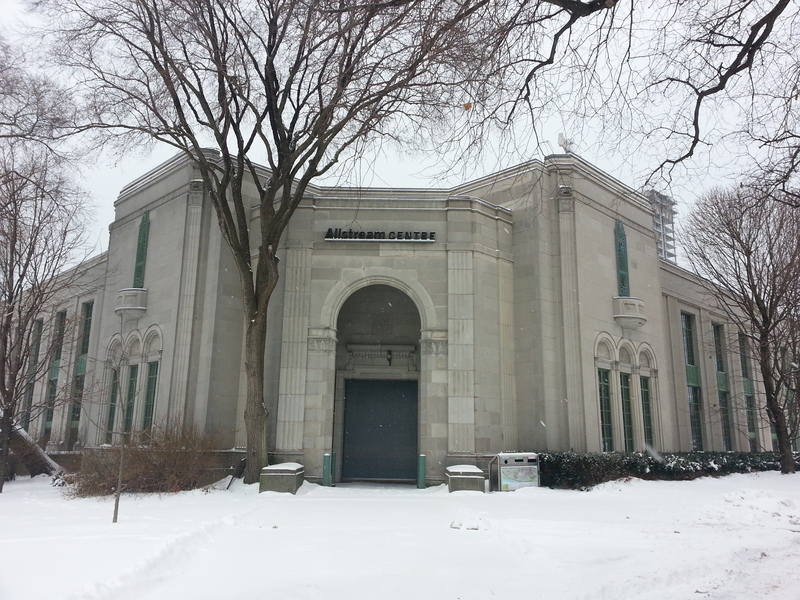 The Beaux-Arts sports venue dates back to 1922. It has hosted boxing matches, horse shows, and was a training ground during WWII. 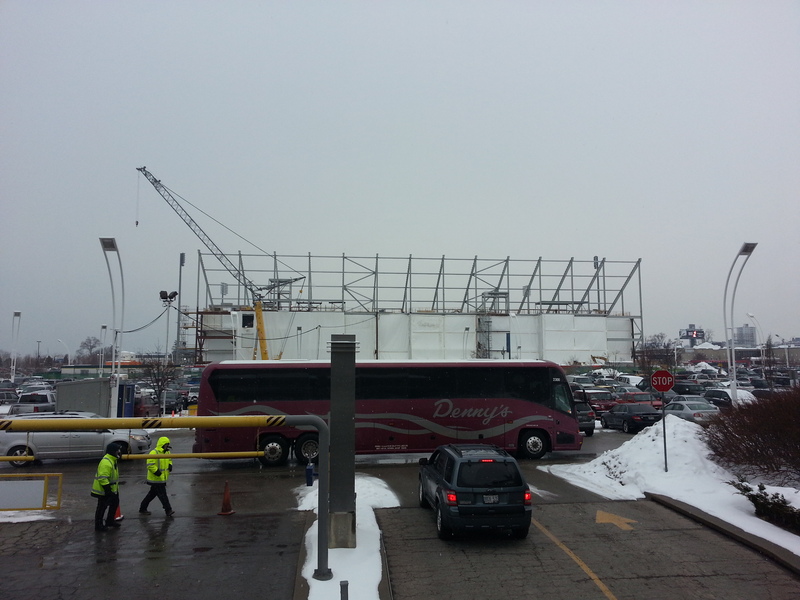 Today, it’s the home of the Toronto Marlies and hosts concerts, pro-wrestling, and boat shows. 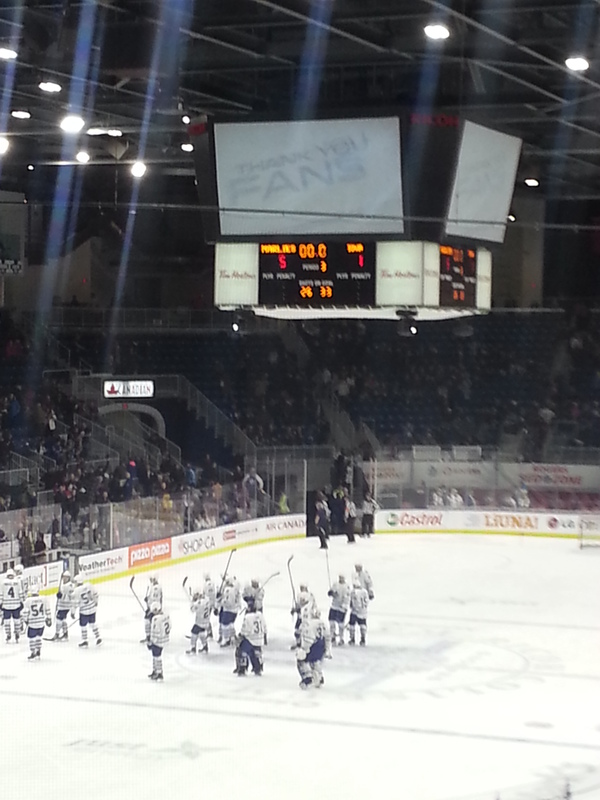 I have taken in many a Marlies game at Ricoh, but it’s also special to me in that I saw my first concert there. After picking up my free bobblehead and before I can even attempt the game, I spent the next few extended moments looking for a Tim Horton’s to satisfy my caffeine urge (it’s an eternal struggle.) Only after some guidance I realize coffee in sold in the concession stands themselves. Hurrah for $2.75 goodness! The game itself was actually largely lacklustre up until the final period when the hometeam turned on the firepower. Despite a ruined shutout, the good guys came out with a convincing win! 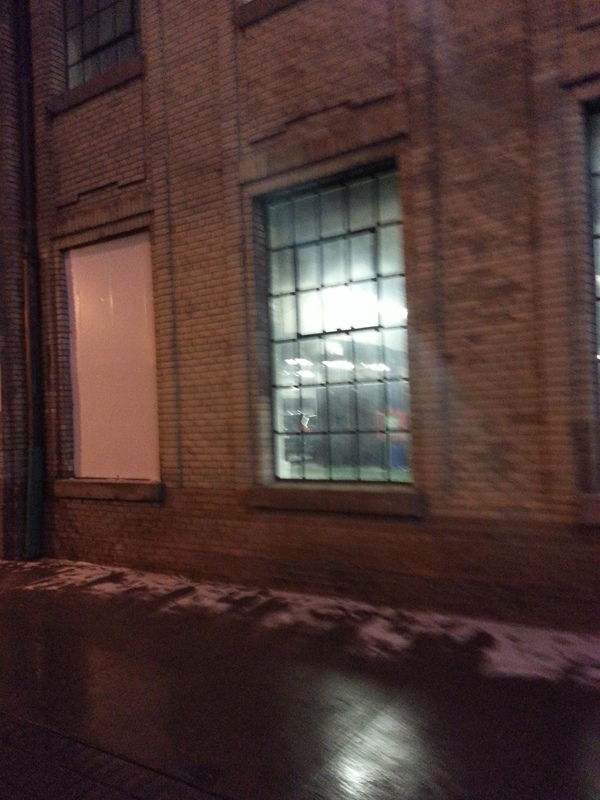 Then it’s out to the streetcar loop with the masses, getting a look at the building as I do. I’ll have to remind myself to capture the grand exterior facing the transit loop next time. I’ll also have to remind myself to take in other parts of the Exhibition Grounds – Scadding Cabin and Fort Rouille in particular. 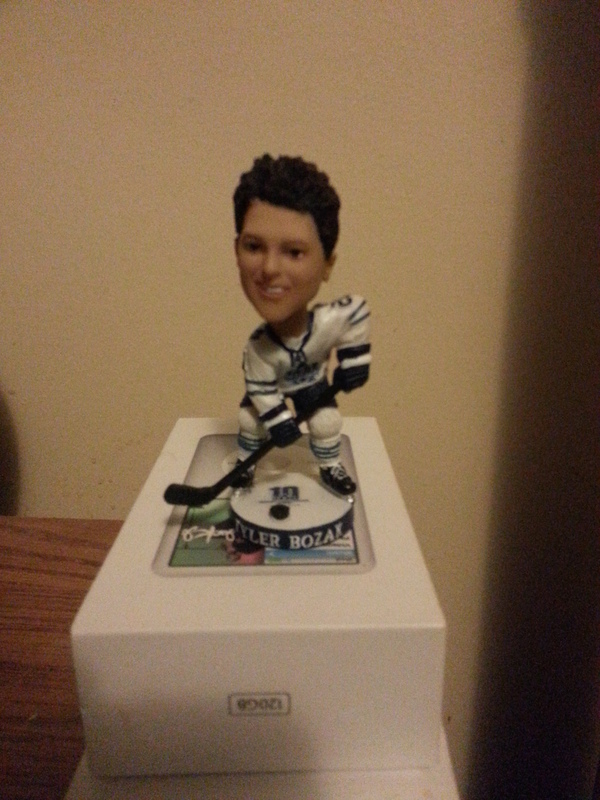 And, of course, there’s the free bobblehead of Marlies alum and current Leaf Tyler Bozak! These figurines never look the person they are meant to honour, do they?